Media discovery app Shazam has been improved dramatically to recognise any TV show on any channel, anytime in the US, and has also reached the considerable milestone of a quarter of a billion users globally. 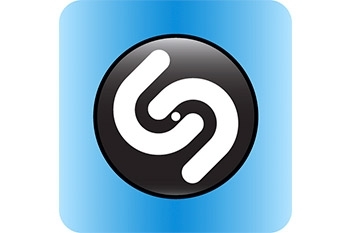 The UK-based company behind the app is pushing hard to make the Shazam for TV service into viewers’ preferred second-screen app, by enabling them to quickly identify any television show and access cast details and photos, music in the show, celebrity gossip, trivia, celebrity tweets, and links to additional information, plus the ability to instantly share and comment on the show or episode on Facebook and Twitter. The improved Shazam for TV service is available from today, and has also been tweaked to offer different results for different types of programming: for instance, sports events will include stats, scores and schedules instead of cast information. One caveat though is that while Shazam for TV works for over 160 channels of television programming in the US (including cable, satellite and free-to-air), it will not always support local-only programming, such as some local news broadcasts or local paid advertising programmes. “Over the last year, Shazam has been testing and learning what works by building dozens of custom interactive second-screen experiences for select television shows and events like the Olympics on NBC, American Idol, the GRAMMYs, and the Super Bowl, as well as other live and scripted programming across sports, reality, dramas, comedy and awards shows,” said Doug Garland, chief revenue officer. Currently, the Shazam for TV service is available in the UK and Western Europe providing second-screen interactivity for television advertising campaigns for global brands such as Renault, Toyota, Reebok, Schwepps, Unilever, Microsoft and Pepsi. In the coming months, the service will be expanded so that Shazam fans in the UK, France, Germany, Italy and Spain will also be able to use the app to engage with the television programmes they love. In addition to expanding Shazam for TV, Shazam is also enhancing its social features for iPhone, iPod touch, iPad and Android devices. When users activate the Shazam Friends feature in the app, they can see what their Facebook friends are tagging, and now they will be able to make comments about their friends’ tags in the app. The app is available for free on every major mobile platform, and can be found on iTunes App Store, Google play, Amazon App Store, AT&T’s AppCenter, Verizon VCast app store, Nokia Store, Windows Phone Marketplace, BlackBerry App World, and GetJar. Shazam recently won the endorsement of Microsoft, which decided to make adverts for the latest version of Internet Explorer Shazam-enabled, allowing consumers to interact with the TV advert by tagging it with their mobile device, gaining access to extra content by its featured musician, Alex Clare.